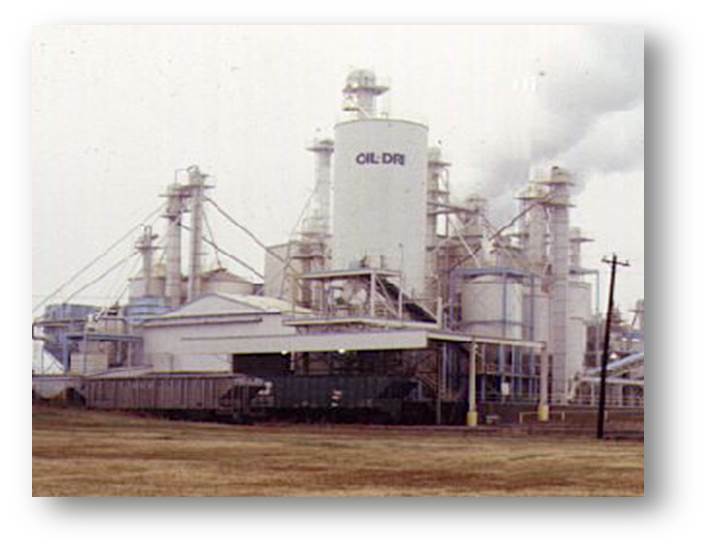 Pro’s Choice is a division of Oil-Dri Corporation of America. We manufacture and produce soil conditioners utilizing a seven-step process. 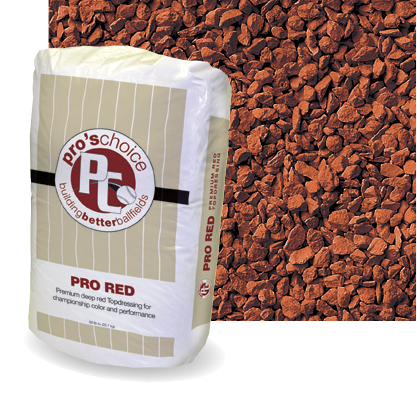 The absorbent clay is mined, sized, dried, ground into specific particle sizes, dried again, thermally optimized and de-dusted with our own air-swept technology. 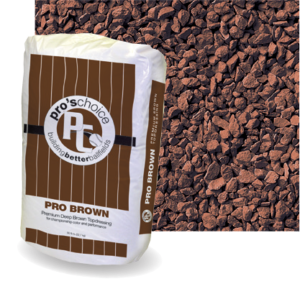 This process is unique to Pro’s Choice products and ensures the highest quality products on the market today. Because 100% of the granules are ground and sized prior to the thermal optimizing process, each granule receives the full benefit of thermal optimization. 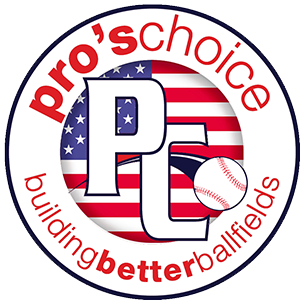 The result is a product that helps prevent rain-outs, breaks up compaction, improves a field’s resiliency and makes for an overall better playing surface. 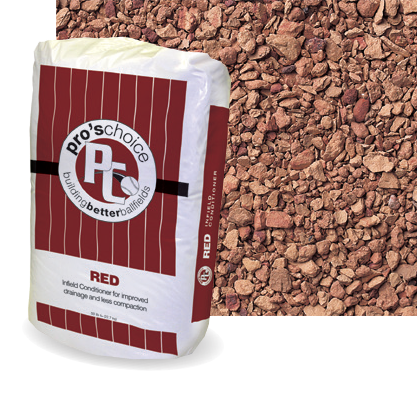 Thermally optimized (calcined) Montmorillonite clay mined, processed, & packaged in Ripley, MS.
Pro’s Choice® soil conditioners (calcined clay) are made from a highly porous mineral called montmorillonite. Once mixed into your field, the natural pores create permanent air spaces in the soil. That means longer life for your field, less maintenance, greater safety for the players and all-around better playing surfaces. 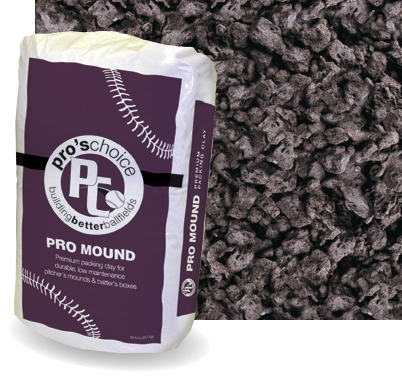 By treating the top 1 to 4 inches of the skinned area with Pro’s Choice® conditioners, you will be effectively adding a moisture control system to your infield. 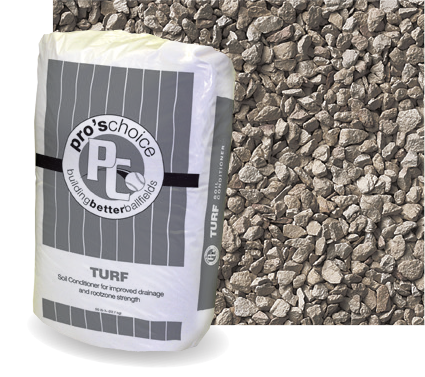 The porous granules absorb their own weight in water to allow for quicker playability after a rainfall. 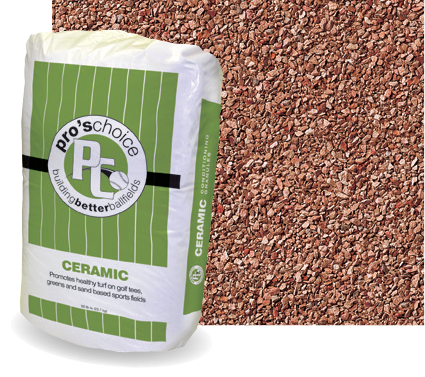 Equally as important, these granules will retain moisture during the dry times to help prevent your field from becoming dusty. 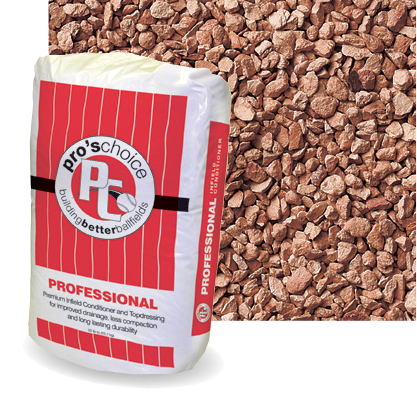 Pro’s Choice® products are developed to be one of the most absorbent conditioners possible. Thermal optimization drives out the moisture and enhances natural porosity. This process transforms the mineral into hard, ceramic-like granules that remain rigid and will not break down in the field. 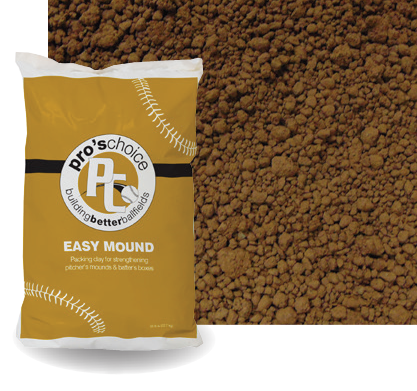 No other infield conditioner in the industry has higher absorption rates or lasts longer. 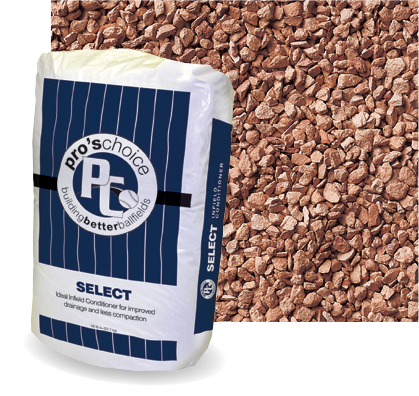 Because the granules stay rigid and don’t break down, these products are truly a great value in both performance and economic dollars. © 2018, Oil-Dri Corporation of America. All Rights Reserved.